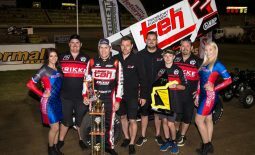 Following Krikke Motorsport’s victory in last season’s WA Title, the team is aiming to repeat history during this season’s running of the event at the Perth Motorplex, which will coincide with the John Day Classic. 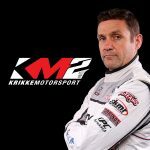 The pairing of Madsen with Krikke Motorsport has been a highly-celebrated one, and while the ‘Madman’ is yet to have completed a race meeting with the Bunbury, WA-based team this season, Krikke Motorsport team manager Ryan Krikke is confident that the current and four-time Australian Champion can get the job done. 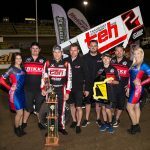 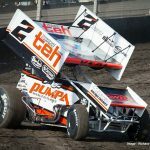 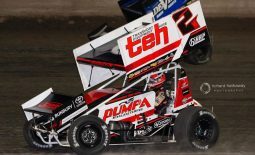 “Between Kerry, Dylan (Buswell, crew chief) and Ben Griffin, who is a new addition to our crew, I believe that we have what it takes to have one of those seasons, starting with this Saturday night’s WA Title,” he stated. 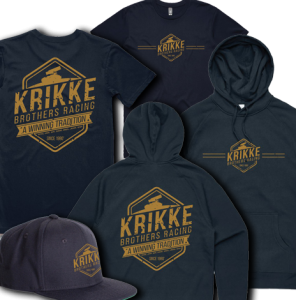 Ahead of their 2018-19 season debut, be sure to grab Krikke Motorsport’s new range of 2018-19 season team and Madsen merchandise, which includes hoodies ($50), hats ($30), t-shirts ($30) and raglan three-quarter sleeve shirts ($40). 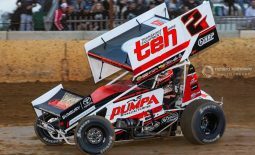 By popular demand, the team have also introduced t-shirts in a range of kids’ sizes ($30). 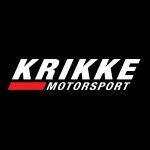 All merchandise is available for purchase via the team’s online store at www.krikkemotorsport.store. 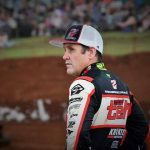 “Kerry is one of the world’s leading drivers and naturally has a huge following of fans, which has been evident in our new merchandise sales,” added Krikke.